A legend born in 1923. 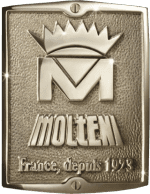 From simple beginnings Molteni soon became the range cooker of choice for great chefs who saw and fell in love with the hand-crafted creations made in a small artisan workshop in Saint-Uze, France. Each bespoke stove was lovingly made with its own individual personality, its own soul and to fulfill the precise wishes of its new owner. Tailor-made range cookers which still today grace the world’s most renowned kitchens, adorn the most exclusive private residences and on which the greatest Michelin-starred chefs choose to give their most creative performance. Every Molteni is built to give its user a taste of the incomparable luxury of owning something truly unique.